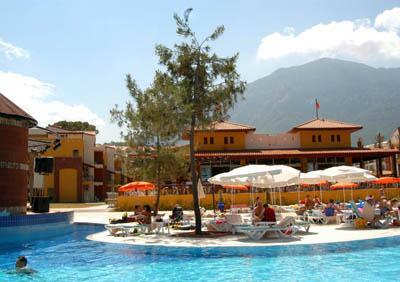 Situated in Kemer, the centre of Kemer is just 1 km, Antalya airport 55 km away. 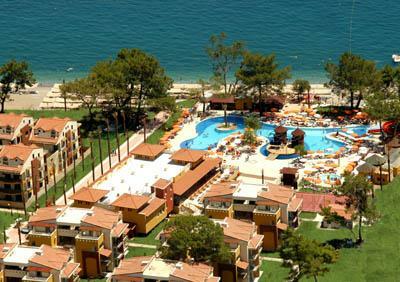 The modern Alatimya Village occupies an excellent position situated on its own beach overlooking the Mediterranean Sea. Be sure to leave with an unforgettable holiday experience. Reception * lobby * main restaurant * a la carte restaurant * bars * disco * outdoor and indoor swimming pools * children’s pool. 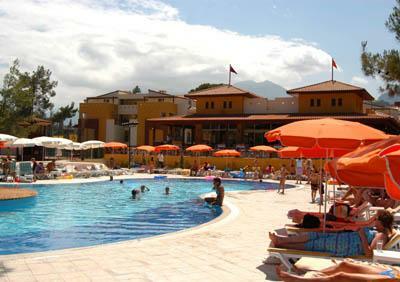 Table tennis * wind surfing (licence required) * fitness * sauna * Turkish bath *TV/cinema * daily and night animations * disco. Tennis court * billiards * playstation * internet café * diving * water sports * massage * drinks in disco and alcoholic drinks in a la carte restaurant. Playground * pool * beach toys * games * painting and tinkering articles. Air-conditioning (central) * balcony/terrace * minibar * satellite TV * bathroom with hairdryer * telephone * safe. 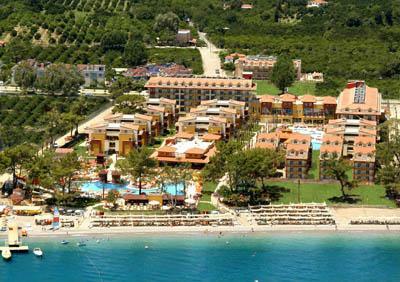 Situated directly on the pebbly beach. Sunbeds and umbrellas available free. Open buffet breakfast, lunch & dinner, late breakfast, snacks (12.00-17.00), coffee&cake.